Today’s the day, kids. 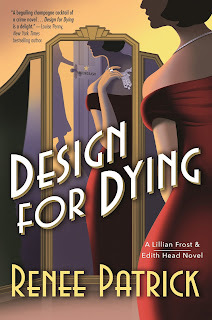 Design for Dying, the mystery novel I co-wrote with Rosemarie under the pen name Renee Patrick, is finally available wherever, as the man says, fine books are sold. Los Angeles, 1937. 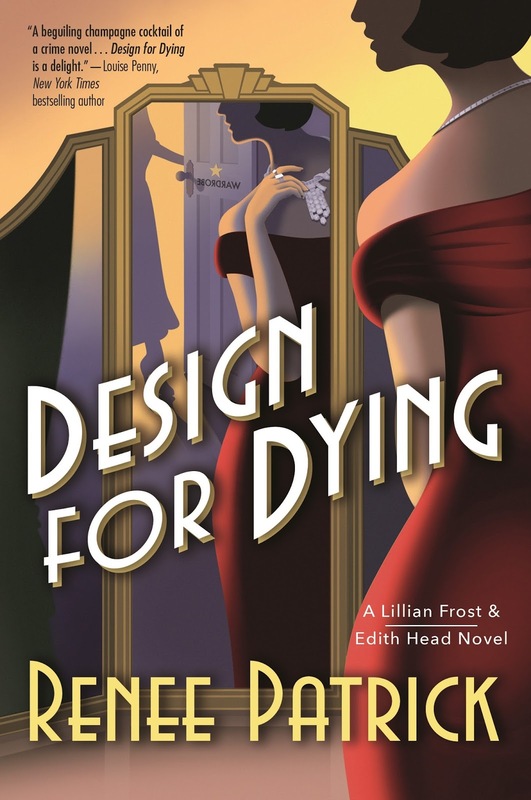 Lillian Frost has traded dreams of stardom for security as a department store salesgirl ... until she discovers she’s a suspect in the murder of her former roommate Ruby Carroll. Party girl Ruby died wearing a gown she stole from the wardrobe department at Paramount Pictures, domain of Edith Head. Edith has yet to win the first of her eight Academy Awards; right now she’s barely hanging on to her job, and a scandal is the last thing she needs. To clear Lillian’s name and save Edith’s career, the two women join forces. Unraveling the mystery pits them against a Hungarian princess on the lam, a hotshot director on the make, and a private investigator who’s not on the level. Glamorous clothes, celebrity cameos galore. What more could you want? Renee is the one with all the information. Go to her website for the latest, like this blog post with everything that went live today as a result of the launch and a hint of what’s to come. And why not follow the links to your favorite bookstore and pick up a copy while you’re there? A boy’s gotta eat (and drink), you know.